When working with a materials manufacturer it is critical to work with a firm that has the tools to create a wide variety of effects. Omni has the capabilities to emboss upon any substrate material you may require with literally hundreds of varied patterns and designs. 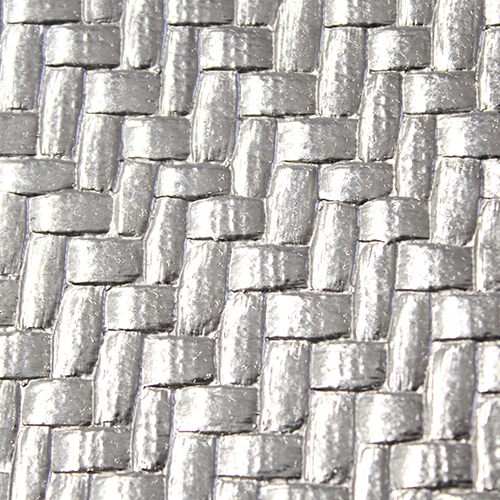 With our vast library of unique embossing patterns we are able to create literally any design. For a look exclusive to you, we are able to manufacture custom rollers to your specifications. 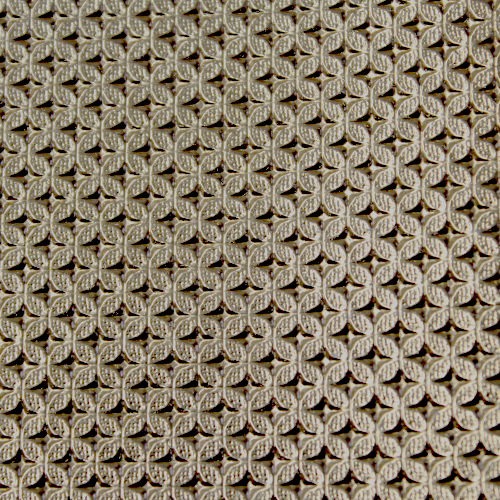 Embossings can be enhanced via a variety of methods like flooding and tipping where various levels of coatings can be applied to create new and interesting effects. But just like any tool, your final product's finished quality is mostly based on the experienced of our internal designers and technicians. Combined with our coating, laminating, printing and embossing capabilities, we can provide limitless creative options for your project. If you are interested in learning more about our embossing capabilities, please contact us at any time for a quote. 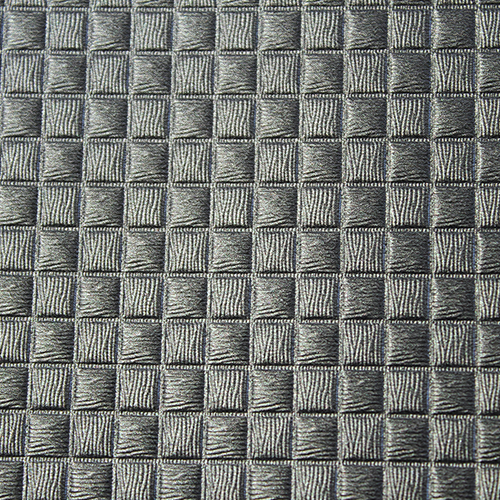 This example features a silver transfer on PVC film, and finished with "basketweave" embossing. This example features our "Puff Mosaic" embossing roller. A very popular choice. 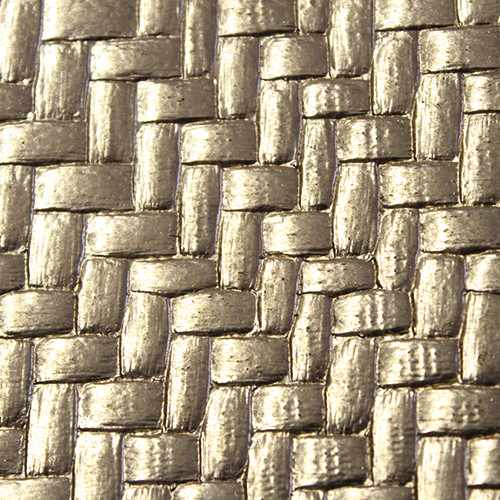 This example features a gold transfer on PVC film, and finished with "basketweave" embossing. This example features a gold transfer on PVC film, and finished with "Starlite" embossing.